 Learn About TnT Sound Inc.
An explosive and immersive audio experience is what you're going to get when you work with TnT Sound Inc. Since 1994, we have been specializing in professional audio and full production services. We offer a combination of reliable equipment along with highly experienced acousticians who are sure to satisfy your needs. Whether your venue has 40 seats or 40,000, we can accommodate you. We have successfully handled events such as gospel, R&B, country, jazz, rock, and blues concerts as well as corporate speaking engagements and much more. Our team also handles the creation and installation of permanent audio systems for customers' listening enjoyment. Once we've set up your new system, we'll teach you all the tips and tricks to get the most out of it, and we'll back that up with continued service. We will be there when you need us. Audio is our job, and we love what we do, so contact us to learn more about TnT Sound Inc.
Our goal is not to be the largest audio and production company in the region, but instead to be the very best at what we do! With our special attention to detail, our experienced staff will define your needs and exceed all expectations, whether it be a special event or permanent installation.